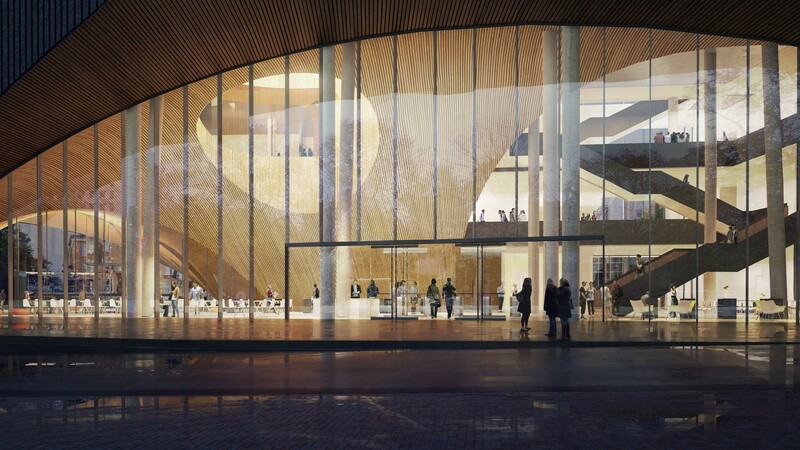 Temple University wowed Philadelphia architecture fans in 2016 when Norwegian design firm Snøhetta dropped renderings for its new Charles Library research center. Laid before us were refreshingly foreign visions of sloping wooden arches, an oculus carved in the lobby’s three story dome atrium, a system of five expansive trusses bound by one canopy, and waves of pleated glass capped by what aims be the largest green roof in Pennsylvania. The plans showed a thing of strange and beautiful Scandinavian origins. Compelling, contemporary, and stimulating, unlike most new building projects in Philly. With a budget of $170 million, the four story, 225,000 square-foot project is finally taking form. 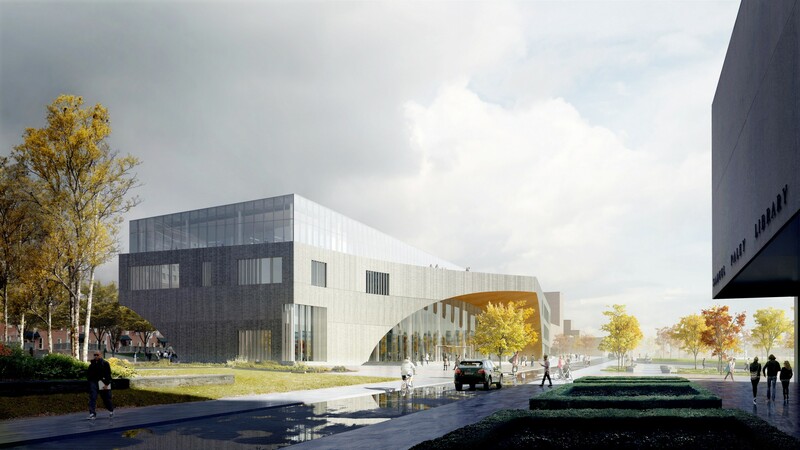 The library, a collaboration between Snøhetta and Canadian engineering firm Stantec, is being built in the center of campus on the former site of Barton Hall. It is currently 12 months behind schedule due to a last-minute structural redesign from concrete to steel. The original plan called for concrete bones with exposed columns and unobstructed views of the underslab from below. The project took a turn when contractor bids came in much higher than anticipated due to inflated concrete costs associated with high demand from other major construction already underway like East Market and the new Comcast tower. The original plan also called for voided slabs, a process that incorporates air pockets into reinforced concrete to ease weight, which has yet to be used in the Philadelphia market. NYC structural engineering firm LERA was then tasked with a four-month reworking of the library into a less expensive steel structure right as the foundation of the building was being laid. The library was initially scheduled to open late last year and is now slated to open in the fall of 2019. Progress is still a little rough at the site, but the building is beginning to articulate its intentions. It will be interesting to see how the final product interfaces with its humble next door neighbors along Polett Walk. Across the quad sits Paley Library, a fine example of Philadelphia Brutalism designed by Temple master planners Nolen & Swinburne in 1966. Paley will be turned over to the School of Public Health once the new library is ready. The two buildings make a slick pairing and are already engaged in a contextual conversation given Snøhetta’s Modernist inspirations. At the heart of the library rises an automated storage-retrieval system vault that will shuffle books to and fro from 35,388 stainless steel bins. 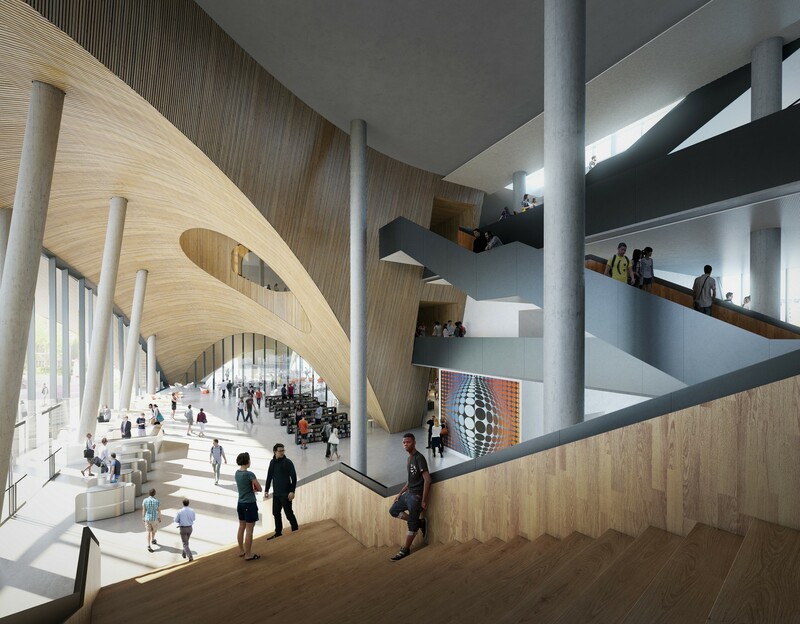 Storage space for the library’s holdings will be drastically reduced where two million volumes will be stored both above and below ground. The robotic crane system, dubbed the “Book Bot,” will eliminate the need for, and experience of, user-accessible library stacks. While this trend of automated systems and off site book storage is rooted in streamlining efficiency, its motivation is driven by a movement to transform libraries from places of concentration and research into hubs of social engagement and event space. Whether Charles Library succeeds in providing both will be a true test of modern function and form making room for tradition. 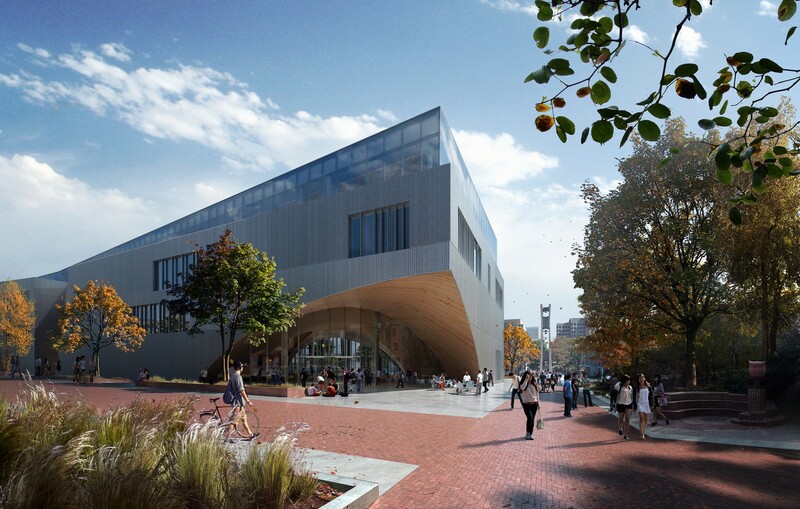 A first look at Charles Library on Temple University’s campus. Photographs by Michael Bixler. Sorry I don’t care for it. I am lifelong Philadelphian and Temple alum. I know what you’ll say, but sorry, don’t like it. North Philly does not need a soaring Scandinavian anything, Dumb. I’m a native Philadelphian and Temple alum. I think anything would look better than Barton Hall did regardless of whether it is in North Philadelphia or not. 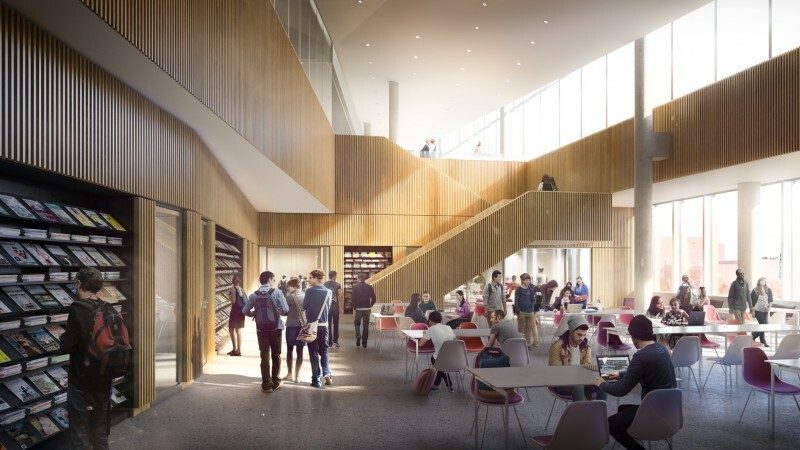 It’s cute that in the renderings they scatter a few mini-bookshelves in the atrium as a nostalgic nod to the old days, when libraries were used to house and use actual books.